Los Angeles has so many dining spots and social experiences that some restaurants have to be creative in their approach to get business. The Arsenal however has a unique history and some different preparations with their cuisine. When you enter the establishment, the first thing you see is the sign that is the oldest sign in Los Angeles. Its logo, Arsenal, is a gun pointed down toward the entrance. There’s definitely a unique feeling when you enter the restaurant bar. In fact the former owner was a gracious man and so lovable that celebrities and people in general frequented the place, which is celebrating its 60th anniversary this November. 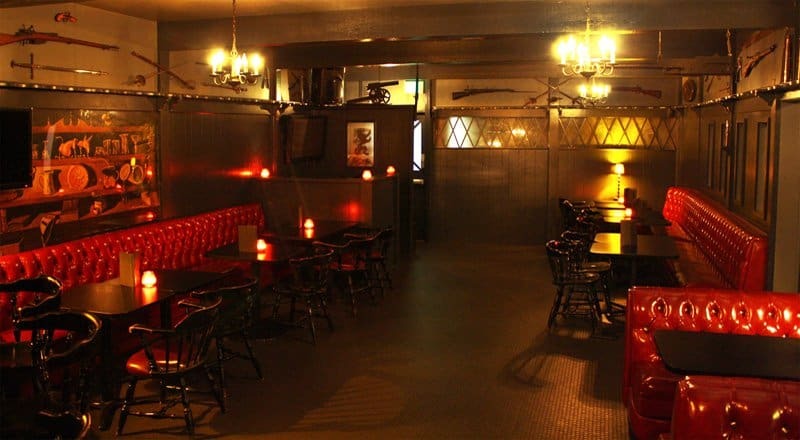 Patrons have enjoyed the classic piano bar which is almost as old as the restaurant. 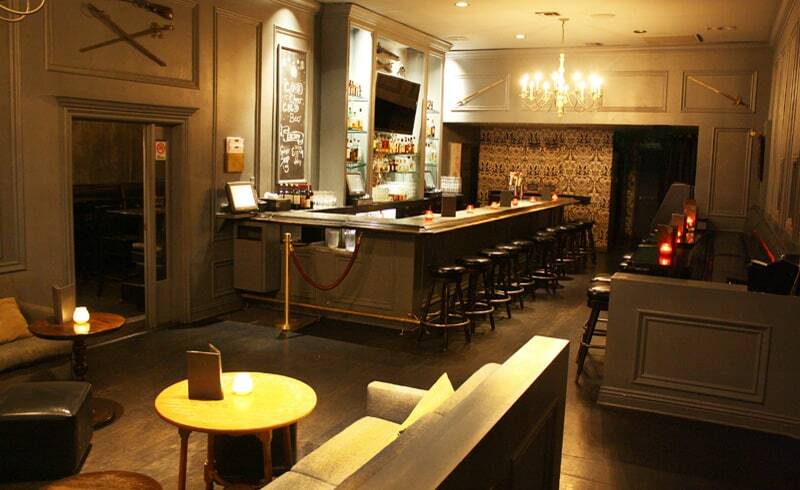 But there’s a contemporary feel in the first room of this restaurant-bar with sit back style couches. 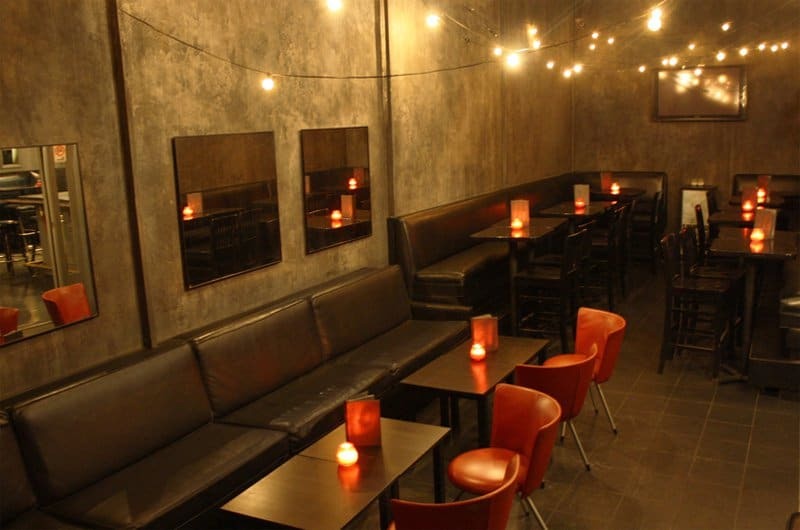 There are three rooms to enjoy your conversation and world-class magicians that perform sleight of hand magic. Michael Rangel usually performs there. Quite impressive to say the least. Liquor display at the Arsenal. Now that the picturesque view of the restaurant has been explained, let’s introduce the young man who worked his way up in all levels of the business and is the partner owner of The Arsenal. Our first cocktail was Basil Lemonade, prepared with a 1956 vodka and basil. The second cocktail was the Katama Japermeursky, prepared with Wasabi simple syrup, Petron bitter, and fresh ginger. Two exceptional drinks that I enjoyed. I usually have a glass of wine with my dinner, but on that evening I was pleasantly surprised. The dining room at the Arsenal. Our culinary journey began with an array of sandwiches starting with the Arsenal Burger, an all natural beef burger with bacon, blue cheese, caramelized onions, roma tomatoes, and lettuce. Other tantalizing dishes included the Guacamole Bacon Burger, prepared with all natural beef, sharp cheddar, fresh guacamole, and applewood smoked bacon, a grilled 8 oz. aged natural filet mignon with mashed potatoes and seasonal vegetables and a Veggie Burger, prepared with Quinoa vegetable patty, gouda cheese, avocado, caramelized onions, lettuce, tomato, and chipotle aioli. All the goodies with the sharing of a Grilled Veggie Salad, prepared with mixed greens, crispy grilled vegetables and balsamic vinaigrette, were just right. 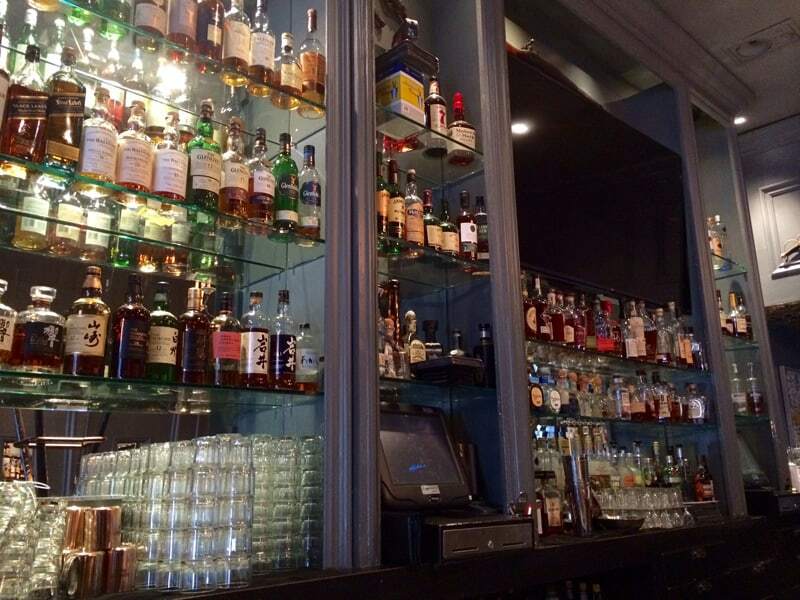 The back bar at the Arsenal. And to top it all off, a fun dessert, the S’Mores, prepared with two graham cracker sandwiches with marshmallows and cookies n’ cream chocolate, campfire style with a twist. That my friends made a great evening of great conversation and food, with some very interesting magic. The Arsenal is located on 12012 West Pico Blvd. in Los Angeles. Call for booking a party or catering at 310-575-5511. Celebrity Scene News awards four stars to the Arsenal. 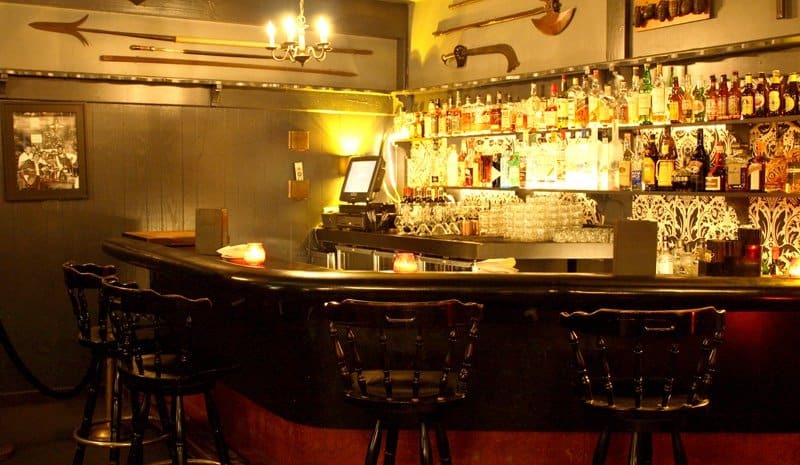 The front bar at the Arsenal. The patio at the Arsenal.